It’s been over a month now since I was first introduced to the New Weight Watchers Beyond the Scale Program and SmartPoints®. The more I embrace the program and it’s associated App and website, the more excited I become about its potential to help folks get healthy and lose weight. What is Weight Watchers changing in 2018? I’m especially excited about the WW Connect feature within the App, which is quickly becoming an incredible gathering place for Weight Watchers members to inspire and support each other. Martha: “Hi guys, it’s Martha here from Simple Nourished Living and I just wanted to take a few minutes to follow up with you today on the SmartPoints® Plan. And I promise to be really, really quick here because I am hungry and as soon as I get done with this, my brother has promised me that he’s going to feed me lunch. So, um, I’ll make it short and sweet. 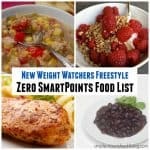 I did check in with you a couple weeks ago just to let you know about the SmartPoints® Plan and give you an overview of it – that was embedded in a post on my website Simple-Nourished-Living.com – where I give you lots and lots of detail about SmartPoints. If you don’t know, Weight Watchers has updated their plan. It’s called Beyond the Scale with SmartPoints® and SmartPoints is a new eating approach which is designed to help you lose weight – but not just lose weight, to also eat healthier. So the plan is really designed to nudge you towards healthier eating. It’s been really interesting to be following the questions that have come in – both to Simple Nourished Living as well as out on the Weight Watchers Connect portion of the app now which is really kind of cool. 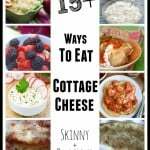 It’s sort of like Instagram embedded right within the Weight Watchers site, all with Weight Watchers members and its a very supportive community. What’s up Weight Watchers? I’ve noticed that some days I’ve used up all my points (I get 30 points a day) and I’ve used them all up by mid-day and when I look at and compare my points with calories, I’m only at maybe 600 or 800 calories and that just doesn’t seem real? And I think what we have to do is pause for a minute and remember that points, SmartPoints®, is not a calorie plan. I think we all know that calories are not created equal. For example, as Americans we’re consuming a lot of sugar – we’re getting a lot of empty calories. A candy bar is not the same as eating an apple and some nuts in terms of the nutrition it provides for your body. And SmartPoints® is smart enough to recognize that. And believe me, I can totally relate to this. I’ve been there, I’ve done it. A great example is breakfast. You know, at this time of year – not too long ago – my standard breakfast would have been a stop into my favorite coffee shop (I think you probably know it, Starbucks), where I would grab a Grande Pumpkin Spice Latte. I love my Grande Pumpkin Spice Latte! Well, I got into my tracker this morning with Weight Watchers and I looked it up. I always ordered non-fat and I ordered it without whipped cream, but it’s full of sugar. 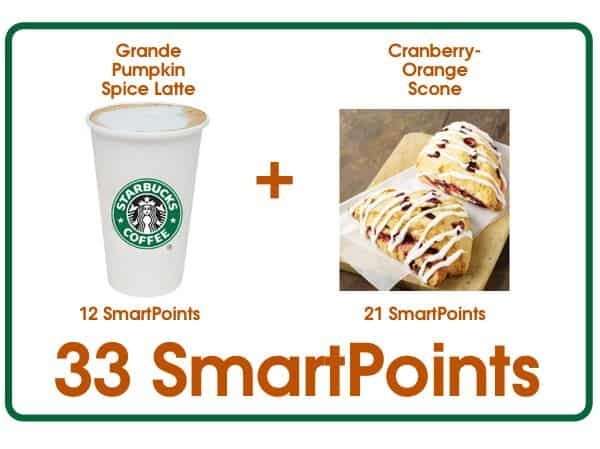 It turns out that that latte has 12 SmartPoints®. Ok, now if you have a budget of 30, there’s 12. And I never just got the latte, I always got a scone to go with it. I love scones. And they’re better than donuts, they’re better than muffins – I think. 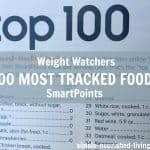 So I looked up my favorite Starbucks Cranberry-Orange Scone in my Weight Watchers tracker and guess how many SmartPoints® that has? 21! So 21 + 12 = 33. That would throw me over my SmartPoints® budget for the day. But if I add up the calories, I’m at 750. What’s this telling me? It’s basically telling me that my eating is out of balance. That I am using up my points on foods that are high in sugar, but aren’t really nutritious for me. And so the best thing I can do now is try and get myself back on track. So, it’s kind of cool – I’ve only used up 750 calories – I can still save the day essentially, by now focusing the rest of my day on the foods that are good for me, that are going to be low in points. Like fruits, vegetables, lean protein – because that’s what we do. If you have an allowance, if you have only so much money you can spend in a given month and you’ve spent it all, what are you going to do? You’re going to try and reign in your spending. This is the same thing. You’re going to reign in your eating and you’re going to make healthier choices. So by the end of the day you’ll have come out in a balanced way if you eat those fruits and vegetables and lean proteins. So that’s it. So Weight Watchers, the program is not broken because calories are not calories, I mean they’re not all the same. And that’s what we have to remember when we’re trying to eat healthier. And that’s what I wanted to share with you today. 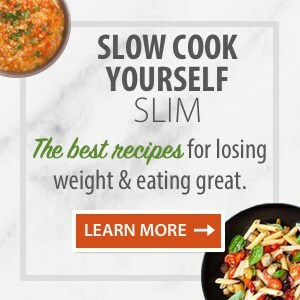 If you are an online member there’s a cool email that came in from Weight Watchers and the title is This Email Will Help You Follow The Plan. Read it, it’s great. It provides a lot of the information that those of us who go out to meetings, a lot of the same information that’s in this new Plan Guide, that we’re able to get when we went to our meeting to pick up the new materials. So you’re going to find it’s really, really helpful if you’re one of those people who’s doing online only. So that’s it for today. Thanks for following me. If you have any questions just leave them at the end of this video or in the comments and we’ll try to follow up with you again soon. Thanks so much. 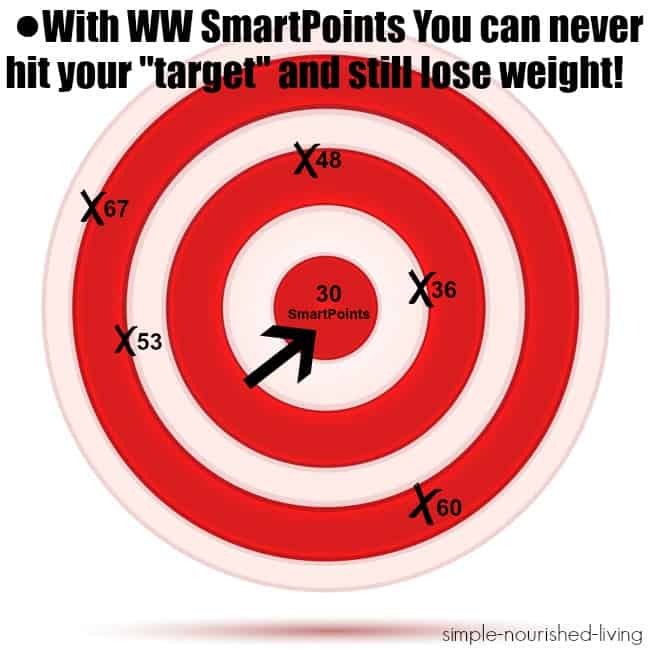 Remember with WW SmartPoints You Can Never Hit Your Target and Still Lose Weight! 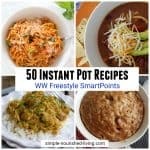 When I first tested out SmartPoints® I began by just eating the way I regularly do to maintain my lifetime goal weight and was shocked to discover that I was consuming 50 to 60 SmartPoints® per day! That’s way over my suggested SmartPoints target for maintenance! And I’m okay with that. 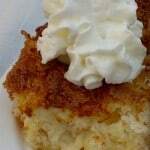 I eat a relatively healthy diet of mostly home cooked foods with occasional sweet treats. I enjoy a glass or two of wine with dinner most nights. I’ve been successfully maintaining for several years now the goal weight I set back when I was 28. Could I eat healthier and meet my SP target most days? Probably. Would I be happy? Probably not. Click here to read how Katie from Runs for Cookies shares her experience tracking both calories and SmartPoints for a week. Remember that your daily SmartPoints® is Simply a Target you are shooting for. You don’t have to hit it to be successful! You just keep aiming for it! You can never hit it and still lose weight!! You know yourself best and you should do whatever you need to, modify the program however you need to, to take care yourself. This is your life and you know yourself best! If you are looking for a lighter healthier alternative to pricey coffee drinks you might want to consider tea which is available in a wide variety of flavors. Two of my current favorites are Celestial Seasonings Candy Cane and Gingerbread Spice. They’re delightful holiday-inspired teas that I enjoy all year long. I’ve discovered that many nights I can satisfy my craving for something sweet with a mug of one of these flavorful herbal treats! 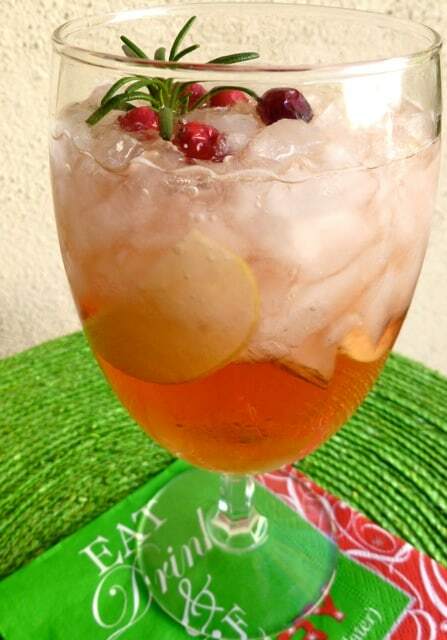 If you are in need of a lightened up Weight Watchers friendly Christmas cocktail, check out this yummy Skinny Cranberry Christmas Sangria with just 3PP/3SP. This is a great point about not all calories being equal. I find that if a food is “surprisingly” high in points, then it may have hidden sugar or sat. fat. I have seen the comments from some that 30 SP is less than 1000 calories. But, for me, it isn’t. In fact, I have had trouble on several days even getting to 30 SP since I don’t eat much sugar and I don’t eat beef at all and limit other foods with saturated fat. I find that a day that would be 27 or 28 PointsPlus can be about the same on SP and I don’t get to 30. Hi Kitty, Thanks for sharing your insightful comments. My experience has been similar. When I eat meals that are healthy with minimal sugar/saturated fat, I can easily be satisfied with less than 30 SmartPoints. I’ve been playing around with suggested menus from the Old Quick Start Plan, the WW program under which I originally became I lifetime member and have discovered that they usually equal 24 – 28 SP! It’s all very interesting!! I am not able to use the weight watchers kitchen companion app on my iPad. I have chatted with ww to find it, no luck. I used this almost everyday for recipes. I just cannot find the new app to download. Help. Hi Olive, I think with the new WW program, the Kitchen Companion App may have gone away. Recipes are now part of the main WW app. There’s a tab for “Meals & Recipes” within the main search function. Hope this helps. I am a lifetime member and I had 26 daily points plus on the old program. I now have 30 smart points per day. I often find myself eating more than I used to just to use all the daily points. 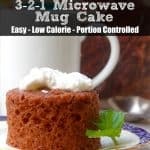 This is my first week following the new plan after overindulging at the holidays, so I really want to follow the plan. My leaders stress the importance of eating all the assigned points. It doesn’t make sense to me… Can you enlighten me? Thanks! I am finding Beyond the Scale worked really well for me and the new Freestyle is too restrictive and also not working. I’ve gained all my weight back on it. I am a lifetime member and now have to pay again until I lose. I don’t have a smart phone or tablet so can’t get apps. I have a lap top. Is there any way to find out the smart points for Beyond the Scale?